This accommodation was excellent for our needs having to stay in Melb after a surgery nearby. Staff were very accommodating allowing us to park our car earlier than check-in, giving us a late checkout the following day and allowing us to leave our car there until after a Dr appointment late into the afternoon. Accommodation and decor were older but all very clean and comfortable. Would stay again. excellent. stayed before and will be back. convenient to the city. easy car parking. quiet night. My experience great, the staff was excellent especially Hazel who was extremely helpful. Staff were very friendly and helpful. Rooms were clean and had everything you need. Great location. Wonderful experience again. The staff can't do enough for you. Have stayed many times. Perfect location. Thanks ladies for all you do! Have stayed with Albert Heights Serviced Apartments previously and will continue to do so. Always kind staff and very good, clean rooms very close to many attractions. Have stayed here a number of times. We've always found the rooms clean and the staff helpful. 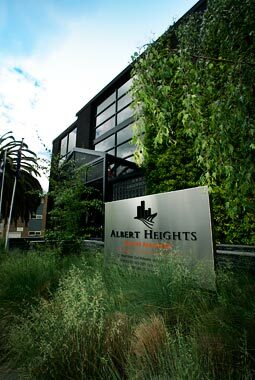 Alberts Heights serviced apartments are in a great location for east Melbourne, its quiet at night. The rooms are clean and comfortable, everyone on checkin are lovely and helpful. A home away from home. This is not our first trip to Albert Hights I was impressed have redone the bathroom perfect spot v comfy apartment great staff both reception and housekeeping, needless to say won't be our last stay here. Needed one minor thing a mixing bowl and our tongs were broken. V minor. Thanks for a great stay again. I always love coming here to stay and feel right at home here. It has everything I need and is close to services. Staff are very helpful and thank you for the upgrade. Warm, welcoming, friendly staff. Very comfortable unit in a great location. Great location, staff is great, very helpful and really nice. Room spacious and very clean. Overall a great stay would definitely stay again. Our stay at Albert Heights apartments is always a comfortable and welcoming stay. The staff are always friendly. We'll always stay here and always recommend to people that ask us on a great place to stay when in Melbourne. Excellent! The staff are very friendly and helpful, the rooms comfortable and the location is great. I love staying there! Friendly staff and a great location close to hospitals and the city. Clean, comfortable basic accommodation but with extras like electric blankets and air-conditioning. It is very handy that there is off street parking available. Everything was terrific. Staff provided excellent service. Location was ideal for us. Appreciated refund of last days accommodation when we didn't require that day. We were really happy with our stay but disappointed that we could not get internet in our room. Albert Heights is a great place to stay. The staff are very friendly, the location is brilliant and we always feel welcome there. Thanks to all the Staff for making our stay very enjoyable. Hazel was a marvellous help to us.